I finished a "light novel" after all of these years! A rom-com filled with fluff! 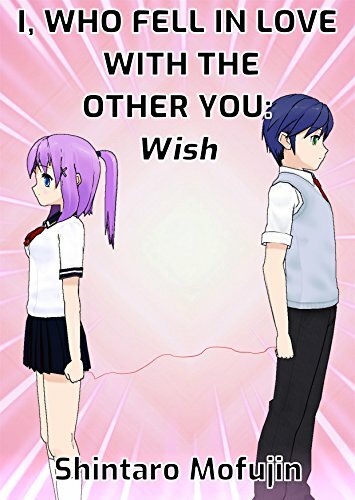 I wrote my own "Light Novel" after all of these years! A Rom-Com filled with fluff! Hey everyone! I'm new here, but I wanted to let you all know about the story I've been working on for the past couple of months! One night before Fall Semester began for college, I fondly remember staying up really late until like 4 in the morning marathoning Nozaki-kun and one skit in particular stood out to me. The scene where Nozaki plays a visual novel game for research and sympathizes with the generic MC-kun's best friend who supports the player without getting anything in return. These characters appear in harems all the time where they try to set up flags for the dense MC, like Shu from Nisekoi and I thought it would be really interesting to integrate that concept as the basis for my novel! "My Best Friend is Dense Harem Main Character-kun, But Why am I the Heroine?!" is a weird, but fluffy and heartwarming slice-of-life romantic comedy story about a generic dense MC-kun named Hiro and his best friend Tomo who becomes the lead heroine after one fateful afternoon! I've been lurking this place for quite some time and I hope that you guys can enjoy reading my humble little story! It's only the first volume with over 63k words and 240 pages, but I'll try my hardest to keep writing more! WARNING: If gender-bender bothers you then I'd advise you to stay away from this one! Please feel free to share your thoughts, fellow readers! UPDATE: Fixed some typo's and lines that bothered me! Added the volume number into the title! The changes went up faster than I anticipated. Thanks for your support guys! UPDATE#3 (9/29/18): The new cover!!! It's HERE! UPDATE#4 (12/25/18): Volume 2 is finally out! Just in time for the holiday seasons!~ See the new cover in my post below! Last edited by ShinMofu; 2018-12-25 at 21:00. Reason: Volume 2 is here! Thank you so very much! I hope it is to your liking! News in the land of Mofujin! I have once again returned with great news for ze common people! First, I finished writing another story! I, Who Fell in Love with the Other You: Wish -> This one's a short standalone 26k word Rom-Com about a young man's special first love that didn't go as he had expected. 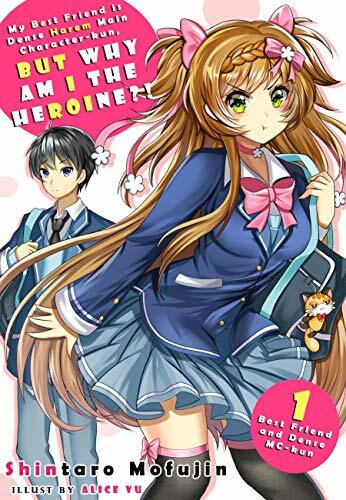 The heroine is a mysterious beauty named Sakuya Aoyama who is an art prodigy that has taken the world by storm! It's currently only $0.99 and free on Amazon Unlimited so if the sample you can access by clicking the "Look Inside" Cover button interests you, consider giving the rest of it a try! In addition, I have officially started writing my own Blog on GoodReads so that I can connect with you guys and keep you up to date with my latest exploits and thoughts! Honestly, it's thanks to wonderful communities like this that I gave this whole novel writing thing a shot in the first place. I'm so darn grateful that there are people out there willing to read my small stories and I will keep giving it my all! Seeing a lot more than one or two people buy a copy of my debut novel made me more teary-eyed than Jun Maeda's rollercoaster rides... Once again, thank you so very much for your support and I hope to not only live up to, but exceed your appreciated expectations with time and persistence! Currently writing a new fluffy stand-alone Rom-Com story with a very unique supernatural main heroine! Look forward to it later this Month! I'm back with a new release! Hi there, readers! The first part of my new paranormal romantic comedy series just came out! 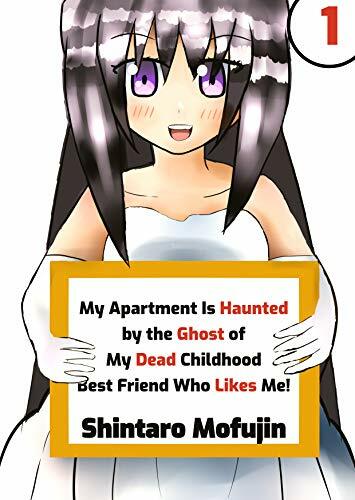 My Apartment Is Haunted by the Ghost of My Dead Childhood Best Friend Who Likes Me! is a story about a young man named Haruto Igarashi who is tormented by the loss of his childhood best friend: a girl named Aiga Kato who passed away nearly a decade ago in a car accident. After another failed mixer set up by his other childhood friend, he returns to his small cramped apartment feeling more depressed than ever. When he opens the door, things are not as they should be. The lights in the living room and kitchen are on despite the fact that he remembers leaving them off before heading to work. Also, there is a delicious home-cooked meal sizzling on top of his stove. “This too must be a result of working too many over-time shifts” he tries to justify as the reason behind these bizarre occurrences. Suddenly, someone steps out of the bathroom and speaks to him. “Long time no see, Haru! I really really missed you, ya know? Huuum huum!~” she says to him. It is his old friend Aiga Kato, but… why the heck is she wearing a bridal dress, floating in the air and her body is transparent?! “Well that’s cuz I’m a ghost, silly!! !” she answers him with overflowing enthusiasm. It is a fluffy, heartwarming and silly story about the reunion of two dear childhood friends: he who cannot forget the past, and she who doesn’t want to leave his side. I highly recommend checking it out, it supports Kindle Unlimited and it’s only one dollar! I actually drew the cover from scratch this time! I still have ways to go before I can get to where I want to be, but I'll keep trying my hardest! Read more at my blog, if you are interested! See how rough that drawing started out and be amazed! Last edited by ShinMofu; 2018-08-19 at 19:03. They approved my update submission and Part 2 of my cute Ghost Rom-Com is out! Hello fellow readers and writers of the wonderful AnimeSuki community! I have received great news this morning that my request to make the latest quality update available to readers who already own my debut novel has successfully went through! Also, the 2nd part of My Apartment Is Haunted by the Ghost of My Dead Childhood Best Friend Who Likes Me! is out! Read about that stuff and more on my latest blog post! I'm so happy that I could make this available to you folks that have supported me from the start! I was really nervous when I heard that they rarely push such changes... Anyhow, thank you for reading and I hope that you all have a lovely weekend! For the past week or so, I searched for an artist who could be the Ponkan8 of my project! Well not only did I find such a capable person to serve as official artist of my light novel series, but they redid the artwork for volume 1's cover and I couldn't be any more pleased with the result! See for yourself, read more about it on my blog and maybe give the novel a chance if you're interested! Thank you guys for your support, you have been amazing! I know I shouldn't judge a story by its cover. But this one definitely drags me in more than a Comipo one. I'll give it a shot. Wow, thank you so much! It's an honor to have my light novel read by you, your web novel series is great and I love how you've stuck with it after all of these years! Also, I completely agree with your sentiment about Comipo! I couldn't agree with you more! Thank you so much for giving my novel a chance even with that pitiful cover I drew, it means a lot! I've already submitted a request so that everyone who owns it can update to the new cover, but we'll see if it passes! Fingers crossed! Note that if it doesn't change the cover in your library, the book itself will still be updated when you click it, but you might have to clear your cache to see it on your library! Last edited by ShinMofu; 2018-10-03 at 14:05. A very exciting announcement for a very special holiday! 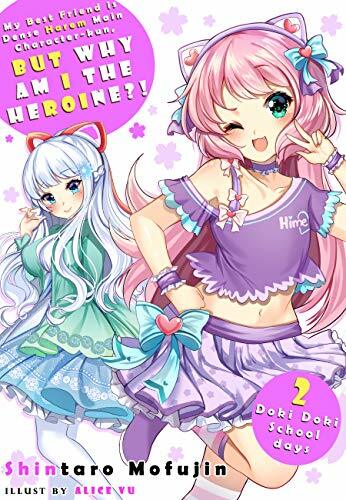 Volume 2 of my debut fluffy rom-com story is officially out! I'm so happy that I could finally get it out there! The focus of this installment is the school life with dense main character-kun and his overly caring best friend who is now a cute girl. Here's the gorgeous new cover artwork done by the official artist! Last edited by ShinMofu; 2018-12-25 at 22:03. Volume 3 is 50% finished! Volume 3 is coming soon and it will be fully illustrated, yahoo! My apologies for being so inactive lately, I've been hard at work on the next installment of this series and it should be ready soon! However, there will be a small delay due to some minor issues. On the bright side, I'm pleased to say that the series has sold well enough that I can finally make today's exciting announcement! Volume 3 will be the first fully illustrated novel in the series with gorgeous hand drawn black and white artwork done by the official artist! That's right, it's finally happening!~ Read more about this milestone and more on my latest blog post! Last edited by ShinMofu; 2019-03-18 at 12:42.